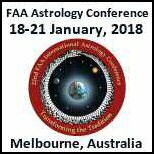 This boutique conference on all things astrology opens in early December in Oratia, in the heart of Bella Rakha’s 30 acres of beautiful gardens and bush just outside Auckland. Hurry, there is still time to get your plans in action to attend. Jockey Bob Skelton was born on December 28th 1934 in Cobden, New Zealand - being born under the sign of Capricorn gave him the ability to focus on his career. In the twists and turns in our journey through life, planetary aspects are such that sometimes we are in a very tight corner with very little room to move and other times it seems that everything just seems to fall into place with the greatest of ease. Nicole Kidman turned 50 on 20th June 2017. She was born at 3:15pm in Honolulu, to Australian parents, working overseas at the time. Read more about Nicole's horoscope! Let us take a look at the horoscope of Hillary Clinton for the 2016 United States election and see why she failed in her bid to run for the Whitehouse. All articles are written by Glorija Lawrence without prejudice in the interest of education and self improvement.